Previous clubs include Newcastle united, Swansea City, Reading, Cardiff City, Cheltenham Town, York City, Northwich Victoria, Gateshead and Blyth Spartans. who needs no introduction. 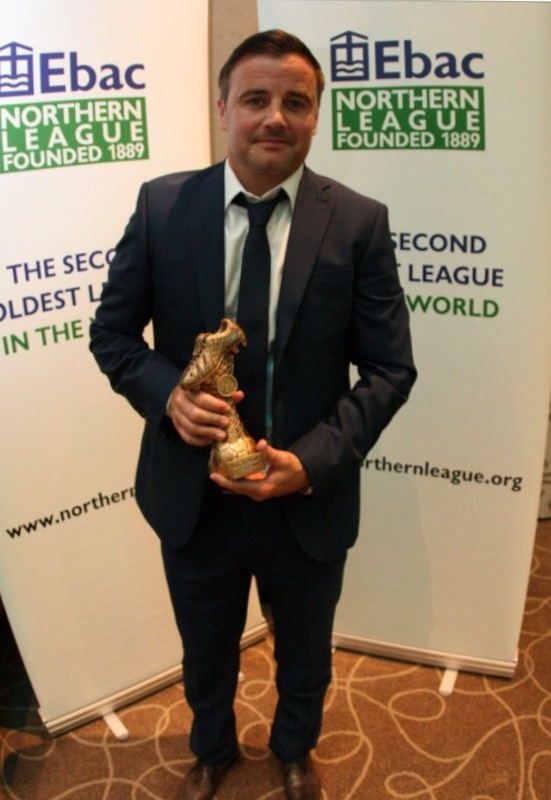 2014 / 2015 Northern League player of the season, after notching an astonishing 49 goals. scored 40 in 15/16 as well. Long serving goalkeeper. Andrew joined the club following spells with Barry Town and Darlington, against whom he had a testimonial in July 2014. Regarded throughout the league by his team mates and opponents as one of the best goalkeepers in the Northern League. Andrew is also the international goalkeeper for England at Beach Football. Winner of the Leagues safe hands in 2009. Midfielder confident on the ball vicious left foot with venomous strike previously with Sunderland and Boston United. Former Queen of the South, St Johnstone, Wallsend Boys Club Player, signed from Washington, Rhys is an attacking right sided fullback/winger. Strong in the tackle and a decent turn of pace with good distribution. A pacey left sided player predominantly at Left back recently signed from Dunston formerly with queen of the South and Hartlepool United. Dangerous Dennis is a Forward who can also play as an attacking midfielder recently signed from Jarrow Roofing formerly with Newcastle United, Barnsley Newton Aycliffe and West Auckland. Deadly left foot guaranteed to get a lot of goals in his first season at Newcastle Benfield. Forward or Left midfielder with blistering pace recently signed from Ashington fc. Fantastic goal scoring record for previous clubs.